Online users can't get enough of this trending photo after it was posted online. According to the social media user who shared this, a man decided to have fun with his partner as he took her to the beach. But what caught the attention of most people - was the couple's dressing most especially the lady who covered herself in a Burka from head to toe. Netizens are trying to comprehend how and why the lady felt comfortable in wearing such cloth to the beach instead of wearing a relaxing outfit. 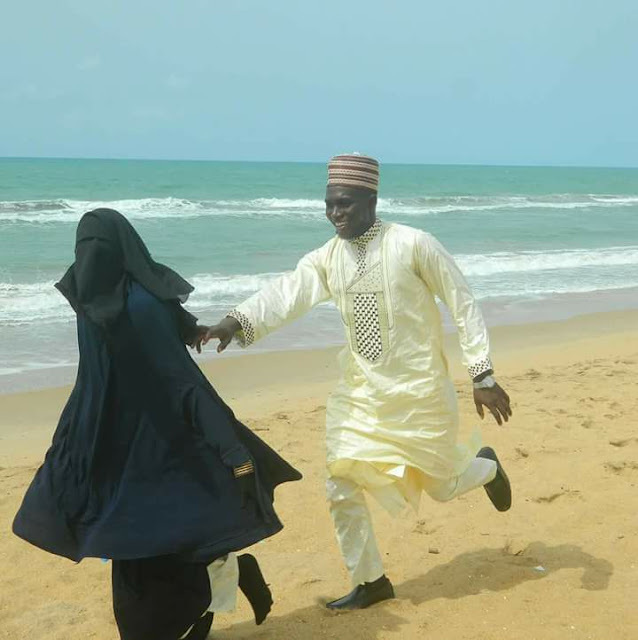 The duo were spotted happily at a beach in the northern part of Nigeria.